The Prime Minister was lost for words – and, watching her, so was I. 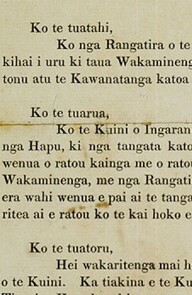 Two days out from Waitangi Day celebrations Jacinda Ardern was asked at a media stand-up if she knew what Article One of the Treaty of Waitangi actually said. She had absolutely no idea. The Chiefs of the Confederation and all the Chiefs who have not joined that Confederation give absolutely to the Queen of England forever the complete government over their land. The Prime Minister leads a government whose very basis is founded on this Article of the Treaty. The pre-eminent law-making authority of the Crown over all New Zealanders is established right here. It is astounding that Ms Ardern draws a blank when asked about it. This is the PM who has established a new Office of Maori Crown Relations to facilitate the “journey from grievance to partnership”. However one has to ask what sort of partnership it will be when our leaders are ignorant of the most basic and crucial facts about the Treaty? Article One is hardly a minor detail. James Shaw the co-leader of the Greens was asked the same question and was equally blank. The context of the media question was the issue of Treaty education in New Zealand schools. The ignorance of our leaders appeared to reinforce that more education was definitely needed. However it depends what sort of “education” we are talking about. There can be no doubt that the PM and her colleagues have been well schooled in the new paradigm of Treaty interpretation that has become fashionable over the last thirty years. She would hardly be able to turn up at Waitangi and “talk the talk” without being very well versed in what now passes for Treaty knowledge. Yet in spite of this she doesn’t know what the Treaty actually says. The Prime Minister’s fail this week shows we clearly need more education on the Treaty – but it needs to be education well-grounded in facts, not fashion. 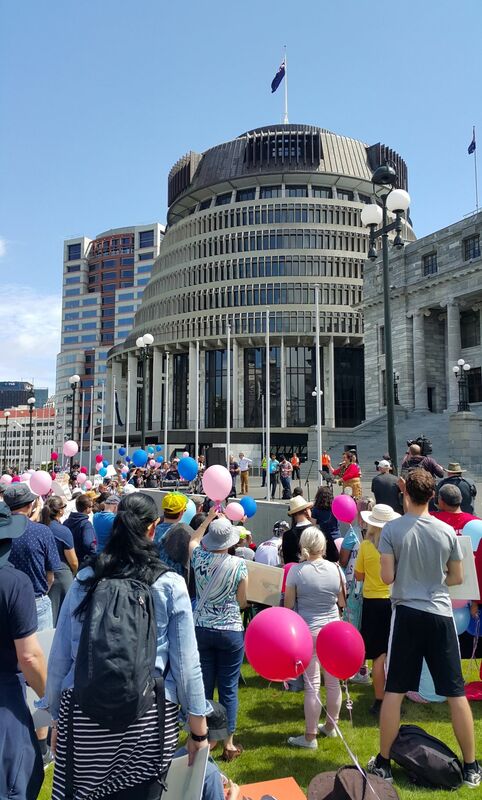 I joined the March for Life in Wellington last Saturday and was thankful for the opportunity to affirm the sanctity of human life in New Zealand. However whilst the march was great – what this country urgently needs is politics for life. It was wonderful to see the event strongly supported. Over 2,000 people took a positive and multi-cultural message to Parliament about the need to protect all kiwi children. They had come from all over the nation to be there. There were several great speeches including from Simon O’Connor and Alfred Ngaro. Both of these National MPs spoke well and with undoubted sincerity. The problem is the party they represent will never do anything about this issue. Not only this, it will do its best to make sure they too don’t rock the boat. Having spent the last decade in the National Party I am well aware of the strong internal culture of risk avoidance on controversial moral issues. It’s not just that the party does not have a policy on abortion – there is a deep-seated expectation that anyone who does have a view should keep it entirely to themselves. MPs may be pro-life but they are there representing the party – so they better not do anything that is not “on-message” with where the party machine is going. As for the Labour Party, abortion liberalisation is part of its platform. Hence as predicted pre-election, that’s exactly where it’s headed. If there is such a thing as a pro-life MP in that party they certainly won’t be raising their head any time soon. The Greens are of course eager to save the whole planet except for children in the womb. And NZ First whilst not necessarily so keen, will maintain confidence in the Government and keep this agenda rolling. If we are to ever see a pro-life agenda in our Parliament there is only one solution – a political party which includes respect for life as an integral part of its wider platform. Such a party would not just resist the current moves to complete liberalisation. It would pro-actively seek to implement a programme of incremental steps to affirm life. Informed consent, ring-fenced funding voted on by Parliament, facilitating adoption, reviewing the grounds for abortion – these could all be steps on a journey to ultimate protection for our unborn children. It is an unwritten rule among the media and political elites in Wellington that MPs’ private lives are off limit. So last week when there was a threat to expose the “bed-hopping” behaviour of many of our leaders there was a tone of near panic among the establishment. MPs and journalists alike much prefer the code of silence that keeps the rest of us in the dark. We are told the reason for the secrecy is to protect MPs’ families. It is a reason that appears noble but which is merely self-serving. Of course no one wants innocent family members to suffer the embarrassment of public scandal. However MPs who are unfaithful to their spouses have already severely harmed their families. Maintaining silence on their actions simply allows such behaviour to continue and be perpetuated. Indeed the secrecy on these matters in Wellington facilitates the dishonesty which allows such sleaze to flourish. Establishing a culture of transparency and accountability, and expecting high personal integrity from our leaders would in the long run be far more effective at truly protecting MPs’ families. The code of silence also insults the public of New Zealand who have a right to know the true character of the people they are being asked to vote for. Many of the electors in Botany will no doubt have a very different view this week of the integrity and suitability of the MP they previously voted for. The Wellington establishment arrogantly assumes we have no need to know and such matters are not relevant to public life. This is a lie. Those who act dishonourably with those closest to them can hardly be trusted as noble servants of the public good. None of which is to say that we should expect our leaders to be perfect. None of us are. Neither does it mean we should rule out candidates who know they have made mistakes in life. This is not about casting stones. It is about casting a vision for our people of what is truly noble, honourable and good. It is also about affirming those values which are critical to the wellbeing of our nation. If we want to rebuild strong family life in New Zealand it needs to start at the top. Last Friday I attended Family First’s 2018 Forum on the Family. It was an excellent day well attended by around 300 people from all over New Zealand. There were great speakers on some key issues. However perhaps the most enlightening moment was hearing the Hon Simon Bridges interviewed. It was a major disappointment. Bridges is a churchgoer with who ostensibly holds personally to Judeo-Christian values. However he clearly has little understanding of how important those values are to our culture and society. He has bought into the falsehood that such values are a purely private matter and not something he should bring into the public square. Hence when asked whether he considered the institution of marriage should be upheld in public policy he answered that it was not the role of government to tell people how they should live. The idea that nearly all social policy is normative and projects a vision and ideal of how we should live seems lost on him. The institution of marriage is foundational to the good society. It is the rejection of this institution (apart from efforts to redefine it) over the last half century which has caused untold suffering and harm to the welfare of our people. How has Simon Bridges not understood this? Has the delusion of politics being purely about the economy blinded him to the reality of what is happening to our children? On other family values topics Bridges was equally uninformed, evasive and disappointing. Issues were “complex”, New Zealand had “moved on” and according to Bridges no-one was even raising these matters on his regional roadshow. The last comment perhaps cut to the core of the issue. True leadership addresses the real issues that are key to the well being of our people. It doesn’t simply massage itself around the noise of public opinion. We won’t see true leadership from the National Party under the Hon Simon Bridges. I’m glad I left. It is definitely time for something new. It is time for new things in New Zealand politics. There is an urgent need for leadership on the key family values issues that are foundational to the wellbeing of our children and the welfare of the people of New Zealand. No such leadership currently exists in our Parliament. I have concluded that such leadership is not going to come via the National Party. Hence after ten years of membership I have moved on. It was with some sadness that I bid farewell to the local branch of the Epsom electorate committee. The Eden-Epsom members have always been respectful and supportive however even they knew that the conclusion I had come to was unfortunately true. In the wider party there is no appetite for anything other than business-as-usual politics. You can talk about the economy and perhaps some social policies to try and pick up the pieces of our broken families – but never address the root causes. That is far too controversial and risks rocking the boat. Of course there a number of Christians and social conservatives in the National caucus, apparently even its leader counted among them. However the party offers no mandate for their views. 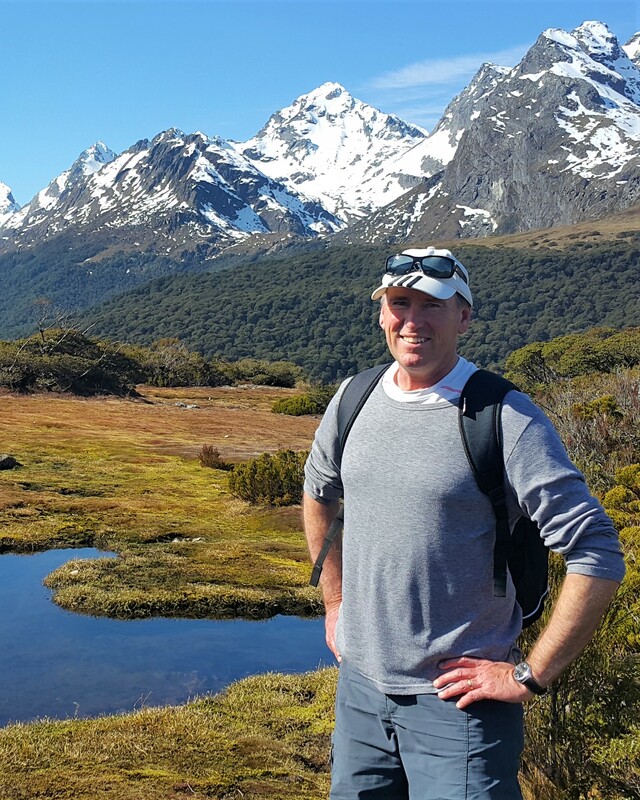 Its ethos is increasingly socially liberal in reflection of the wider culture in New Zealand. And yet it is this very culture which is the problem. Our Parliament needs a voice which will speak to this. After ten years and four unsuccessful attempts at candidate selection, I know that voice will not be heard from National. It’s time for something new. Such is the tenor of their new report “Building Blocks” which outlines our progress in implementing the UN Convention on the Rights of the Child. Not surprisingly the report also references “rights” 150 times in its 32 pages. Apparently a “rights based approach” is critical to ensuring the future well-being of our children. As well as affirming their sexual orientation and gender identity, this includes consulting with them on how policy should be developed. This nonsense would be laughable if it wasn’t so seriously and earnestly pursued by the liberal political/bureaucratic establishment in our country. It abandons our children to a sea of ideological confusion about who they are and what they really need, and then asks them to please advise how we should proceed! It is a complete abdication of the responsibility we have as adults to provide guidance and protection for our children. For the sake of our children Laurie O’Reilly had the courage to say some things that weren’t fashionable. The current Commissioner should do likewise, rather than simply being a mouthpiece for an ideology than has not been a blessing to our children, and never will be. So the Easter cross and Christmas star have gone from Auckland’s Mt Roskill. 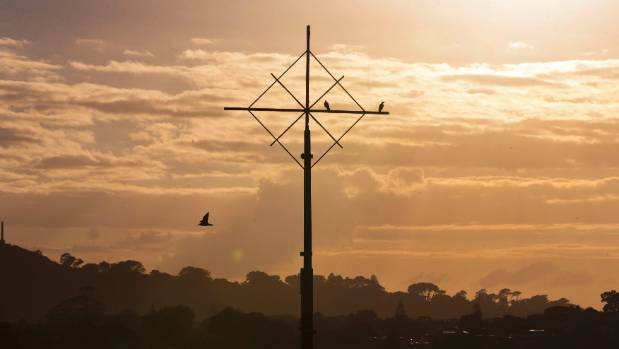 For nearly 60 years Aucklanders have enjoyed the beauty of these wonderful symbols of our Judeo-Christian heritage calling from the summit of one of the maunga in the heart of our city…. No more shall it be. To continue reading the full article published this week in Stuff Nation click here.